يقع Quality Hotel Colonial Launceston في منطقة مشهورة للغاية في المدينة. هذا الفندق هو من الخيارات الشائع بين المسافرين. يمكن من هنا للضيوف الاستمتاع بسهولة الوصول إلى كل ما تقدمه هذه المدينة النابضة بالحياة. يضفي محيط الفندق اللطيف وقربه من أكثر المعالم السياحية جذبًا سحرًا خاصًا على هذا الفندق. 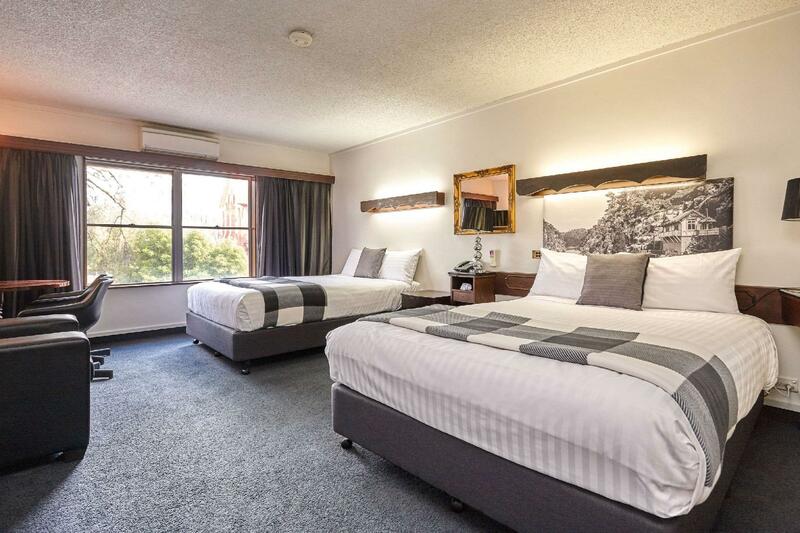 إن حسن الضيافة والخدمات الراقية التي تعرف بها Choice Hotels تغني تجربتك في Quality Hotel Colonial Launceston. لضمان راحة ضيوفه، يقدم الفندق الخدمات التالية: تسجيل وصول/خروج سريع, تخزين الأمتعة, صف السيارات, خدمة الغرف, التوصيل من وإلى المطار . تتضمن كل غرف النزلاء وسائل الراحة والتسلية المصممة خصيصاً لضمان الراحة القصوى للضيوف. إن مركز للياقة البدنية, تدليك, بلياردو هو المكان الأمثل في الفندق للاسترخاء وتفريغ طاقتك بعد نهار طويل. إن Quality Hotel Colonial Launceston هو خيار ذكي بالنسبة للمسافرين، فهو يوفر إقامة هادئة ومناسبة للاسترخاء. Would stay again for the right price. The hotel is obviously getting old, but is in a great spot in the middle of town. 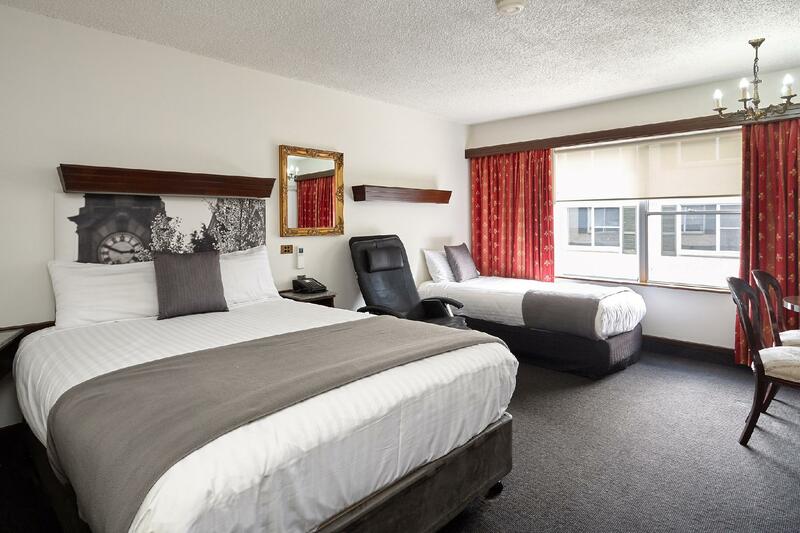 if you are looking for somewhere to stay in central launceston, this hotel is very well located, the staff are nice and there is onsite parking. while the rooms are colonial as you would expect the bed in our room was extremely uncomfortable and was a double bed instead of the queen we paid for. also, while we requested a quiet room we were allicated a room near the cleaners laundry and a metal staircase exit from the property was just outside our bedroom door, a bit disappointing. Once we checked in the lady said she had upgraded us, but once we entered it was the same room in pictures. We were on third floor with no elevators. The room overlooked a Carpark. The restaurant attached to hotel was nice though. nice and clean room with launceston style of decoration. the reception and dining room is really nice with the castle style of feeling. good location. really good hotel for the money. staff is very nice, friendly and helpful. 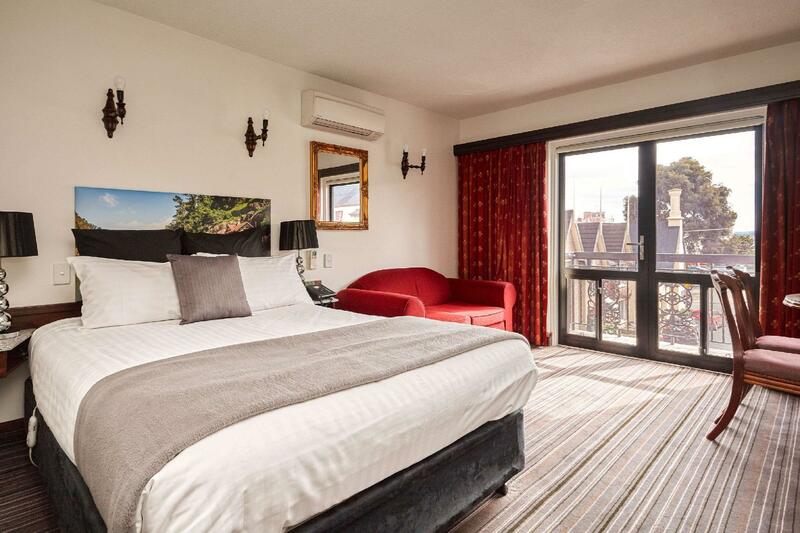 Nice hotel - big rooms and good location to the town centre. Could do with a lift being installed for luggage though. Top marks for the extra friendly staff at this hotel, nothing was too much trouble for them. Extremely helpful. Offering great advice on sightseeing. Location was perfect for walking into the city and for the wonderful walk to and around cataract gorge. Room was very clean and comfortable, breakfast was superb and the meal in the 3steps on George fantastic, offering a selection of gluten free meals and desserts. Very comfortable. We stayed in the heritage suite and enjoyed the stay. Room was clean every time we returned from our day adventures. Also got the paper every morning at your door. Location was perfect. Short walk to Coles, and other major stores. Plenty of eating options within walking distance too. Had a lovely stay there and would have no hesitation in returning there again. We only ate at the Hotel (with it's entrance from outside) and found the meals, although tasty, far too large. I had to send 1/3rd of mine back. The staff were very pleasant although we were of the opinion one of the girls hadn't been in hospitality too long and was very inexperienced. Great stay at an affordable, well located hotel. Of particular note - I arrived early in Launceston (8am) and asked the hotel to hold my bags so i could explore the town. They surprised me with an offer to clean my room immediately and have me checked in no later than 0930.. this level of service exemplifies great service that this hotel provided across my whole stay. The hotel is a heritage listed building - well not exactly. Part of the hotel is, but there is a modern annex building out the back. That where the majority of rooms are - where we were located. Is it a big deal - depends on person, but in my opinion should be clearly on booking page. I thoroughly enjoyed my stay at Quality Hotel at Launceston. The staff was extremely helpful and provided service with a smile. I left a pair of sandals at the hotel and when I returned to check with them 2 days later, the staff had found them and kept them for me. 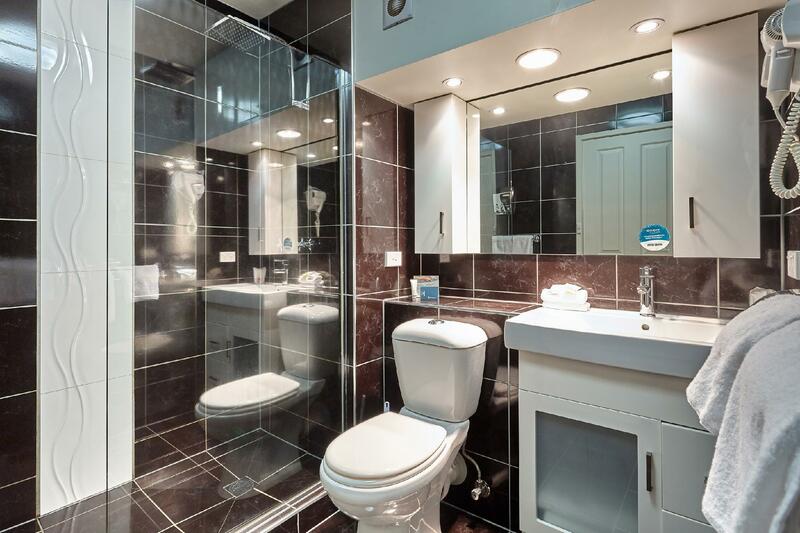 The hotel is quaint and yet fitted with modern facilities. Cosy little place, great location, extremely helpful staff. Oh and a super friendly pooch to pat if you’re a dog person.